Fall in New England is a gorgeous time to take a stroll. Grey overcast days are the best for really pulling out the colors. 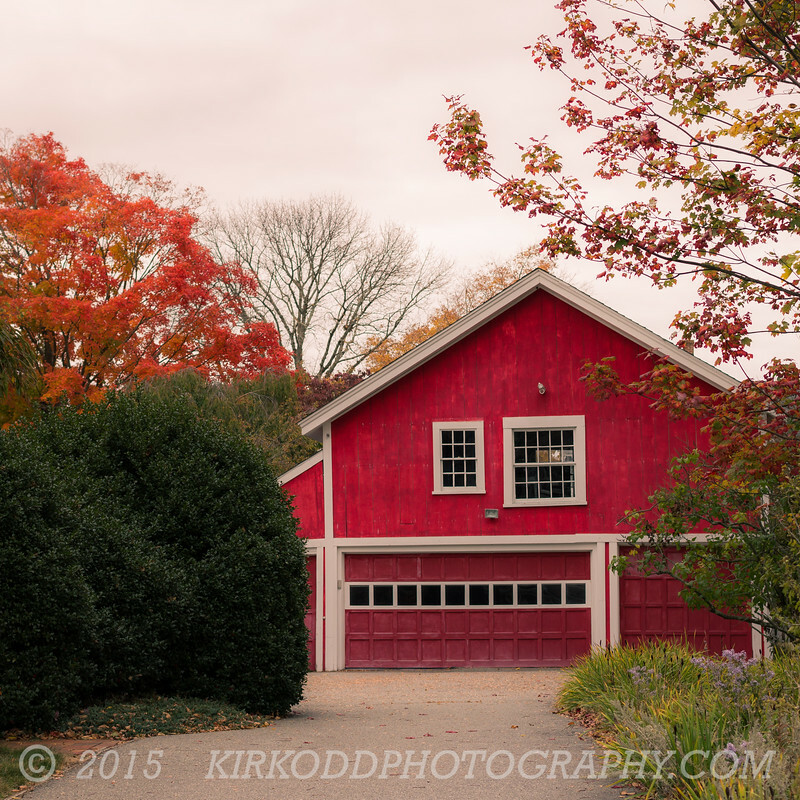 Here, a red barn peeks out from behind the trees.